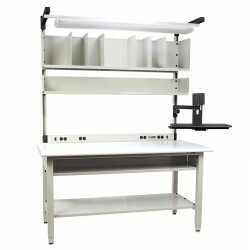 Equip-Max proudly sells Packing and Shipping Tables, also referred to as Benches or Workstations, that provide operators with durable and versatile platforms to efficiently handle the most demanding tasks. We pride ourselves in selling the best products to support and improve the movement, protection, storage and control of material and product throughout manufacturing, warehousing, distribution, consumption and disposal environments. 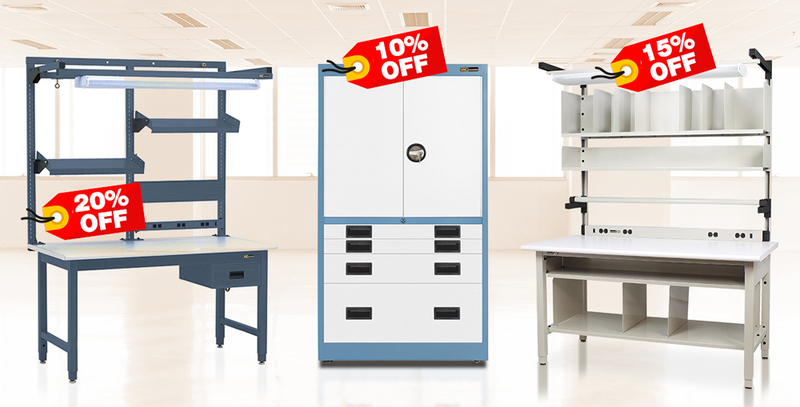 Our chosen brand, IAC Industries, rock-solid workbenches are engineered to endure tough environments and rigorous activities. Not only do our chosen products accomplish these goals with strict attention to quality but does so while maintaining an aesthetically pleasing look and appeal. 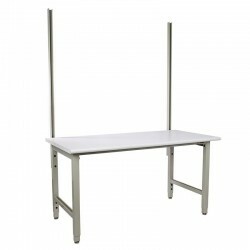 Each bench with impact and chemical resistant laminated worksurfaces. 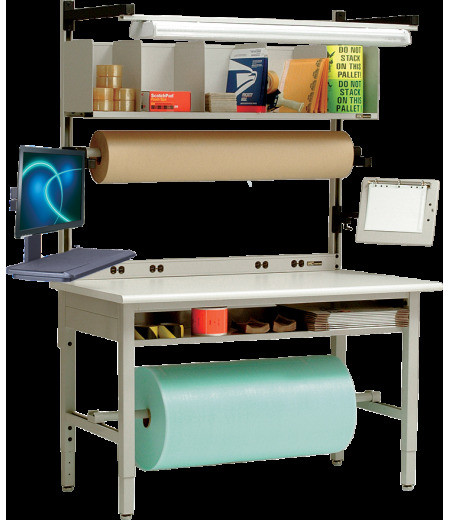 Below are products that outfit a wide range of applications, whether users are seated or standing. 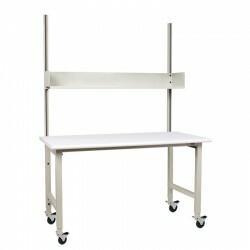 These products are height adjustable, include heavy weight load capacities, top and bottom roll hangers and multiple shelving options - all designed within the practices of ergonomics.